The Candela GentleMax Pro Laser is used to provide permanent hair reduction on all skin types and for the treatment of vascular and pigmented lesions. The GentleMax Pro promises to offer patients a faster and more effective treatment and is used to treat a variety of skin conditions. The Gentle Max Pro laser is revolutionary in the treatment of laser hair removal. Its unique patented cooling system provides comfort as well as efficacy for all skin types. Its ability to pulse quickly offers quick optimal treatments with minimal redness or discomfort. Laser energy is delivered through a small hand-piece operated by one of our laser technicians. 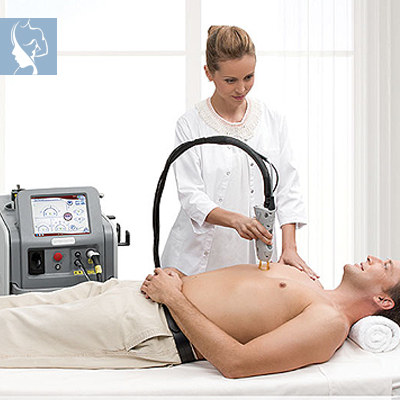 The laser delivers an intense beam of light, which is absorbed by the hair follicle and converted to heat. The heat damages the hair follicle while the surrounding tissue remains unaffected. Your skin may be red immediately following the procedure. This typically lasts from a few minutes to several hours after the procedure.